I took this picture on Thursday as I walked out of the Palazzo to find my rental car. It’s a subterranean oven that is hot as hell during the day. 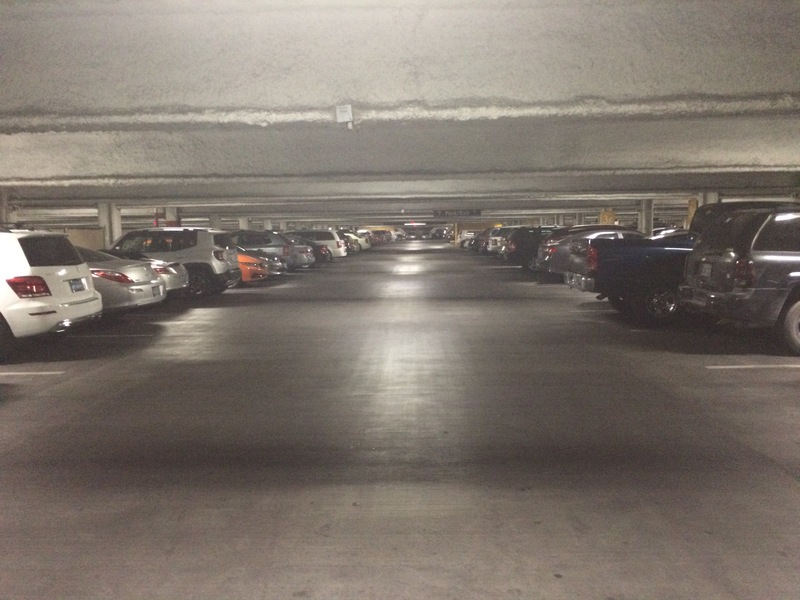 Today, when I arrived early due to some weird as hell hours, the parking garage was mostly empty. It was around 4:50am and I was honestly chilling in the rental car eating some Pringles and hydrating on Gatorade because I was hungry as a hippo and needed to get back to gambling after winning over at the Rio. I don’t know about you, but I believe heaters are meant to be pressed. Then I heard what I think were a couple of some sort arguing on the way back to the car. It got louder and louder with the dude ordering her to take a taxi back home, so I assume they were locals. The girl was saying “I don’t know” and the guy was saying “I told you not to talk to him.” There were expletives and name calling all on a woman with no coherent comeback. I was trying to peice together what the hell was going on. I narrowed it down to a few scenarios. 1)She was a prostitute and the guy didn’t pay up, and the pimp was like “what the hell? I warned you.” But to be honest, this didn’t make sense for how angry he was. Do pimps get that angry? 2)The nightclubs had closed maybe an hour or so before, and maybe she went with some guy in the club back to the room, and the boyfriend couldn’t find her for a damn hour while two people went with the flow of it. If she knew better, she should have probably gone to the airport and flown as far away as she could. But this is Vegas, where dreams go to die. I stayed in my car and ate more Pringles.